Living Trusts vs Wills: When is a Living Trust More Appropriate? There are various estate planning tools that may be recommended by a knowledgeable estate planning attorney to accomplish the purpose of passing on assets to others. Making the determination between a will and a revocable living trust comes down to what you want to achieve with your estate plan overall as well as your individual concerns. For many people, an irrevocable trust is not appropriate because it requires turning over ownership of your property in the manager of that trust, the trustee, forever and there is no turning back after you take this action. A revocable living trust, also referred to as a living trust, is more appropriate because you can undo it or change the terms if you wish while you are still alive. This is not necessarily permanent. You are always free to reverse your decision after establishing a living trust. This kind of trust has some significant benefits over a last will and testament in Arizona. One of the most common reasons that people establish a living trust is that it protects your privacy. When a will is submitted to the Arizona courts in open probate, it becomes a matter of public record, meaning that any individual can stop by the courthouse and read it. They will know what you owned and how you decided to distribute this property. However, as it relates to a living trust, no one other than beneficiaries is eligible to see the trust documents. Unless a beneficiary or an heir files a lawsuit to challenge the validity of the trust, your decisions remain private. The necessity of probate is a major distinguishing factor between a will and a living trust in Arizona. 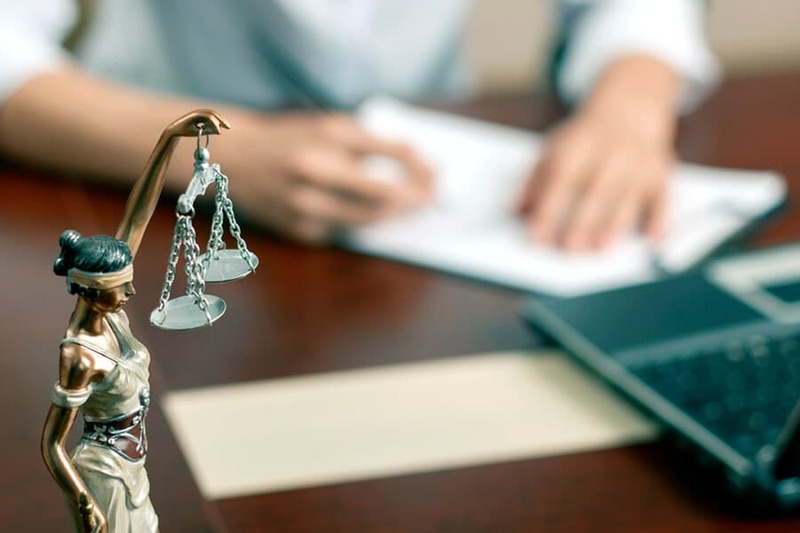 The court supervised process of probate is required when an individual leaves a will behind, and even if a person does not leave a will, the estate of the deceased must pass to the beneficiaries and heirs and probate is the official legal process through which this is accomplished. A proper revocable living trust drafted by an Arizona estate planning lawyer does not require probate as this is a private contract between the trust maker and the trust entity. The trust maker may also be referred to as the grantor. In the majority of cases with an Arizona living trust, the grantor will serve as the trustee of the revocable trust and managing the property placed inside. When the grantor passes away, a successor trustee steps in to settle the trust and distribute the property accordingly to the beneficiaries as outlined in the trust documents. The subject of incapacitation is a difficult one for many people to broach and yet, it is extremely important. A major advantage of a living trust versus a will is that a living trust can help to prepare your estate in the event that you become mentally incapacitated. If you are mentally incompetent and can no longer handle your affairs, a successor trustee can step in. Your trust documents can be drafted to clarify when it should be determined that you are mentally incompetent. Your property would not transfer to the beneficiaries as it would at your death if you were to become incapacitated. Rather, this successor trustee would step in to manage the finances and property for you because you are unable to do so on your own. Some revocable living trusts offer minimal planning for this type of event and therefore, you should consult with an experienced Arizona estate planning attorney if this is important to you. Unless you take the necessary action to transfer property into the trust, a living trust in Arizona is an empty vessel. The property may have to be probated if you forget to include it in the trust as well. Some people also use wills to deal with omitted property and you would still want to use a will in Arizona if you wish to establish a guardian for your minor children since a trust cannot provide for them. Consulting with an experienced Arizona estate planning attorney can help you to articulate your goals and identify whether a will, a living trust or a combination of both is appropriate for your estate planning goals. During your initial consultation with Susan Sandys, you’ll get a better idea about the tools you can use to protect your interests now and in the future. Whether it’s a revocable living trust , a will, or a combination of both, you need to know that you’ve taken the steps to protect your loved ones if something happens to you. Susan Sandys knows that estate planning is very personal and also involves an in-depth understanding of your unique needs, so schedule a consultation today to learn more.